Often when I travel I wonder if I’m on Candid Camera, International Edition. Whether it’s the guy in Chengdu relentlessly staring at me, refusing to break eye contact, while I try to eat a burger at McDonalds. The man proposing to me on an overcrowded matatu in rural Kenya. Or the Japanese tourists not so subtly taking pictures of me eating dinner in Frankfurt. Why? Why? Why? 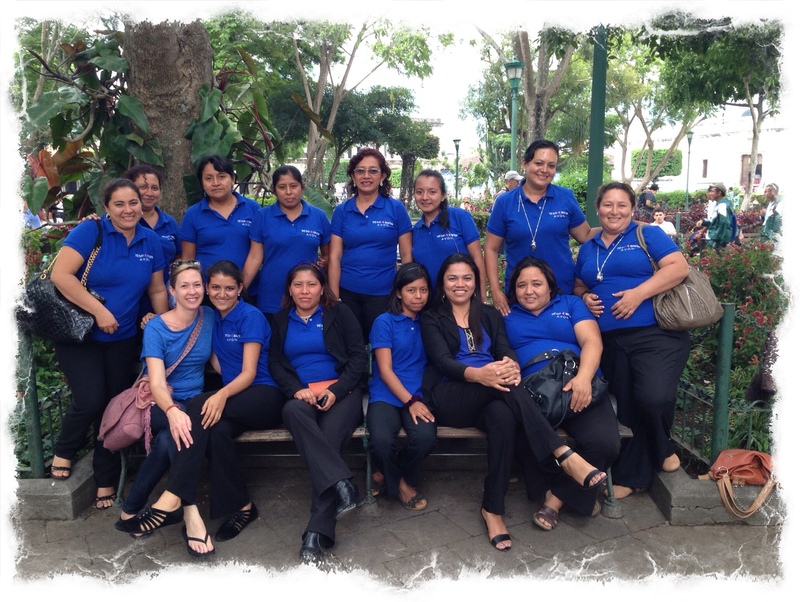 So I wasn’t surprised when I found myself suddenly mobbed by a group of lovely Avon ladies in Antigua, Guatemala. 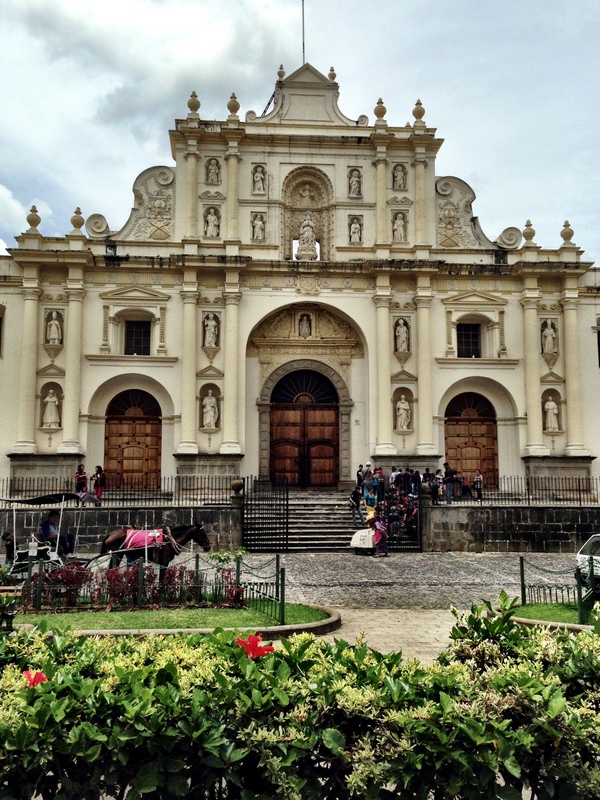 It was a warm, sunny day in Antigua. 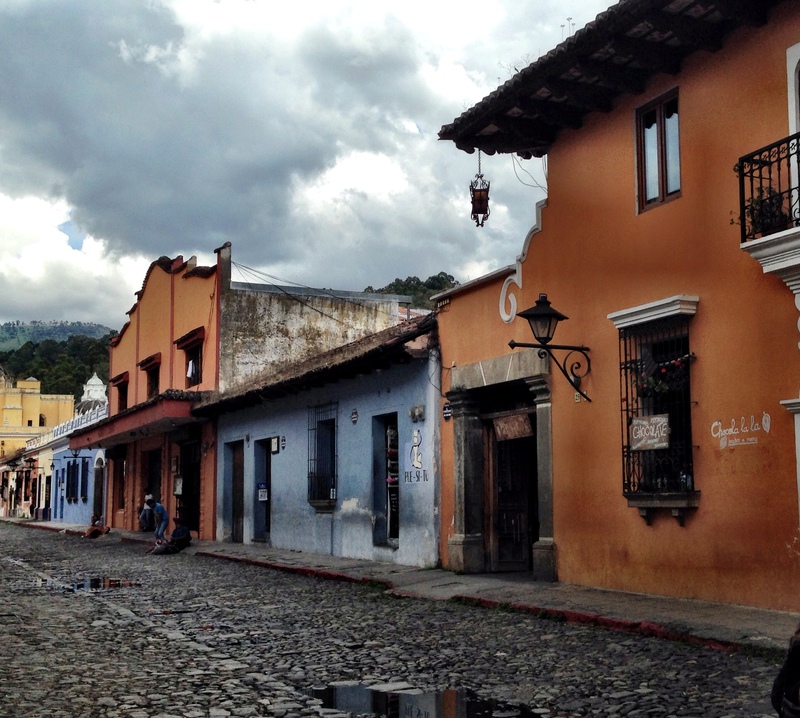 I had been wandering the beautiful cobblestone streets, full of two-story colorful, colonial buildings, some crumbling from previous earthquakes. Churches on, what seemed like, every other corner. 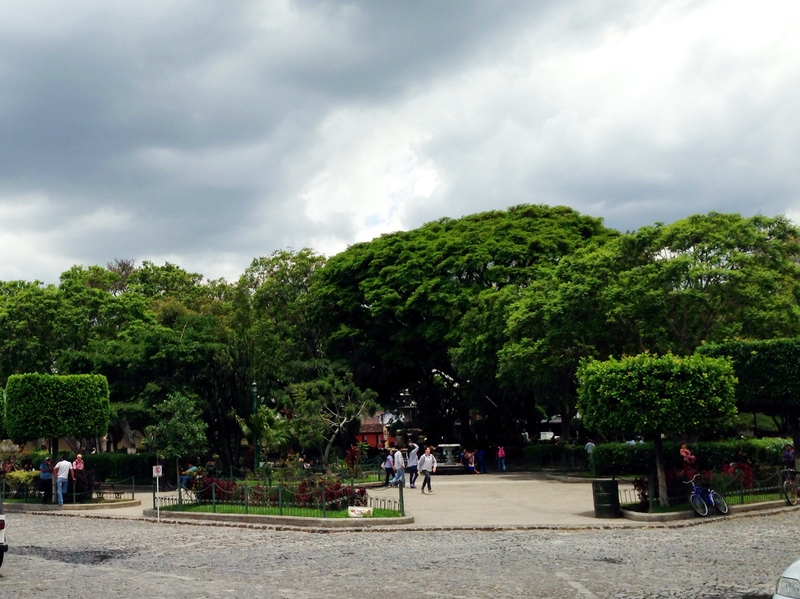 I decided to take a break from sightseeing, and went to Parque Central to hang out and people watch. It is a gathering spot for locals and tourists alike. Groups of teenagers. Elderly people. Families with small kids playing. 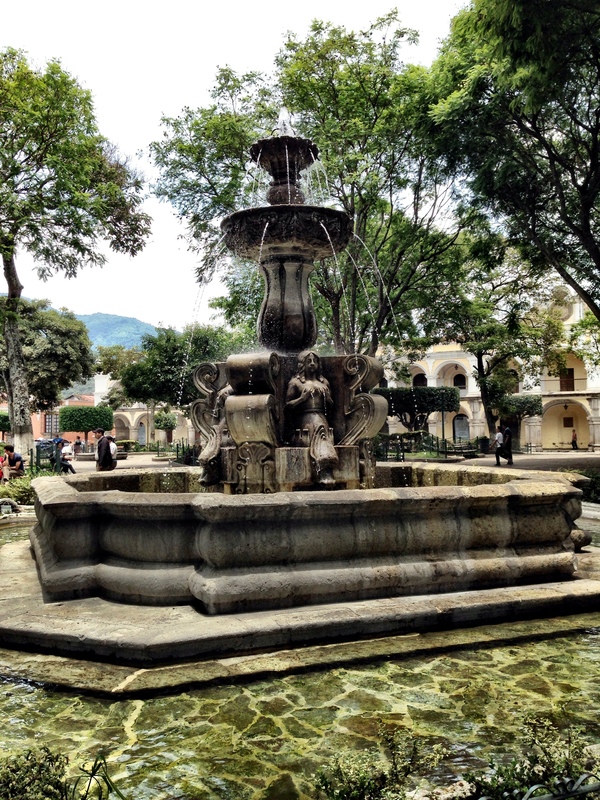 The park is a peaceful haven to escape the heat, shaded with big green trees, a pretty fountain in the middle, and park benches lining the meandering sidewalks. Numerous ice cream carts with their bells ringing tempted me to eat street food. One on every corner of the park. After watching the locals, I caved. 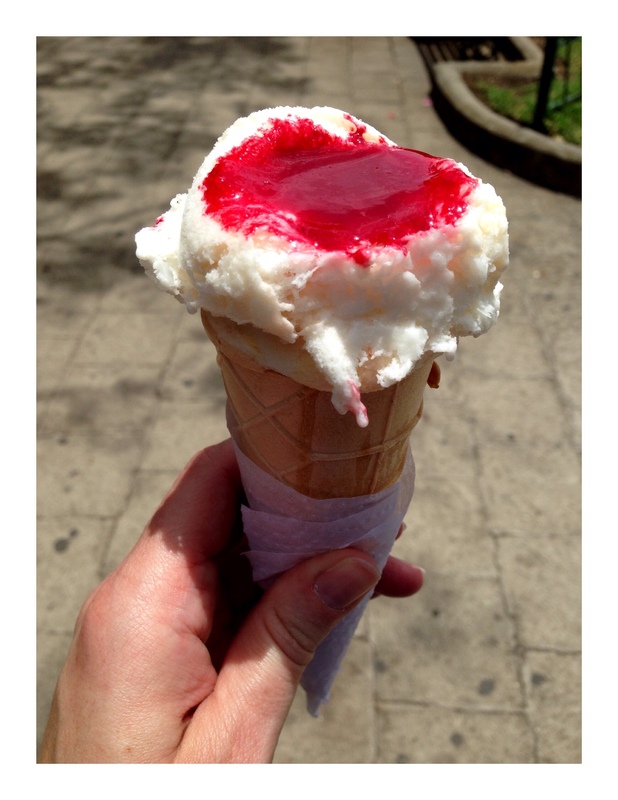 I opted to eat it the way the locals did, with some kind of jammy strawberry topping on it. The ice cream hit the spot on that hot day. The topping though was too sweet, even for my sweet tooth. A street performer was attracting a big audience by the fountain. The mime was juggling, and eating fire, and goading the crowd. Two especially antagonistic teenagers took the bait. After some time watching him and the crowd, I decided to sit on a bench and read. Soon a couple of ladies joined me at the other end of the bench. I glanced up long enough to notice they had on matching blue shirts. Soon, a bigger group of them were trying to squeeze onto the park bench. When I got up so that their group could sit together, one asked me to stay. That’s when Jenny, or Yenny, and I became good friends. She hugged me and asked me questions in Spanish and broken English. I answered in English and broken Spanish with some charades thrown in for good measure. With 20 or so Avon ladies surrounding me, I wondered if I had just unknowingly been recruited into Avon. Soon we were taking group photos. Not one. Not two or three. But around 50 pictures. Coincidentally in my own blue shirt, I blended right in (minus the blond hair). This group of Guatemalan Avon ladies thought I was more entertaining than the Mime eating fire. I shared pictures from Chicago and San Francisco. Jenny loved my skinny jeans. They were delighted by my horrible Spanish. And their focused attention made me even more self conscious about my poor language skills. Where I was from. My name. 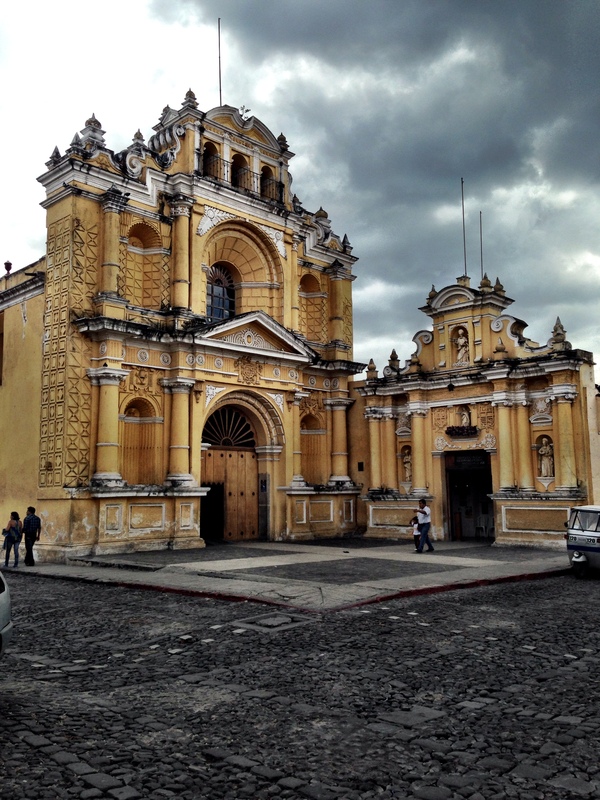 How long I was in Guatemala. 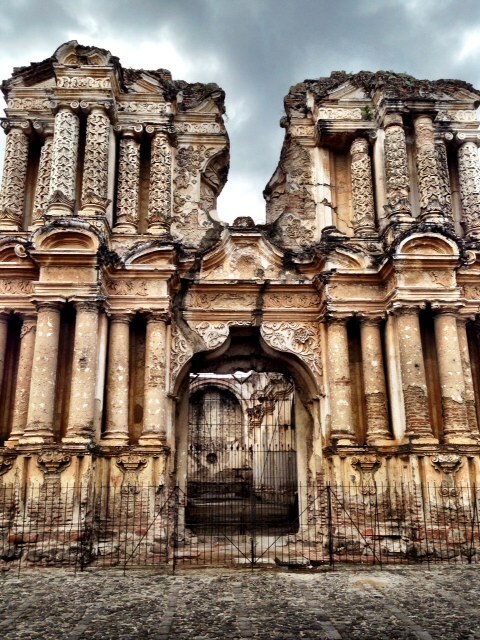 If I liked Antigua. They were patient with my Spanish, but the ladies at the perimeter were giggling at my attempts. Then they started video taping the “interview” outwardly laughing at my bumbling attempts at Spanish. After about 40 minutes I had had enough. I finally said “No Mas”. They giggled. “Tengo hambre.” You’re funny. “Adios amigas.” More giggling. They didn’t believe me. I slowly started walking away. “Voy”. Finally they got it. We did a final round of hugs before we departed ways. While I fear I’m being ridiculed on YouTube or used in promotional Avon materials in Guatemala (Join Avon and meet the Gringa! ), it is random moments of connection like this that make me love traveling.